Strange factoids are always winners at parties, so in a sense, you’re actually learning a few party tricks by picking up some weird asides on garage doors, their openers, and remotes. Plus, you’ll be extra educated when it’s time for you to buy a new garage door, an opener, or anything to do with this major, modern day convenience none of us think twice about. A garage takes up six times more space than your average front door, which is probably why 70 percent of homeowners use their garage door as the main entrance to their home rather than their actual front door. One might even say that your front door is merely a door bell receptacle rather than a true to form entrance. The pure size of this, shall we say grand entrance, is a great reason the eye travels to the garage of a house more than any other area. 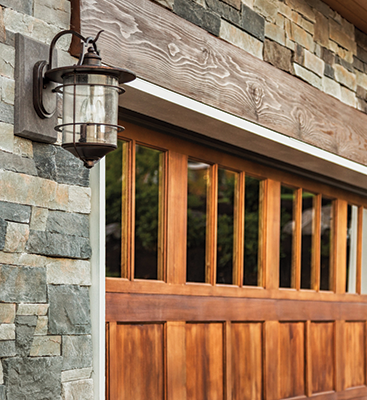 Making a garage door update is a wonderful way to give your home a fresh look. 71 percent of homeowners use a garage door opener to enter their home. With this handy gadget being made into an app in recent years, it makes more and more sense to take full advantage of this convenient entry technique. A quality garage door will increase the value of your home by one to four percent of your home’s value, which if you live in a $300,000 home $3000 is just the one percent increase mark. Thus, unlike most home improvements, this investment has a palpable return on it. 73 percent of homeowners often take the above fact into consideration as soon as they decide to put their house on the market. 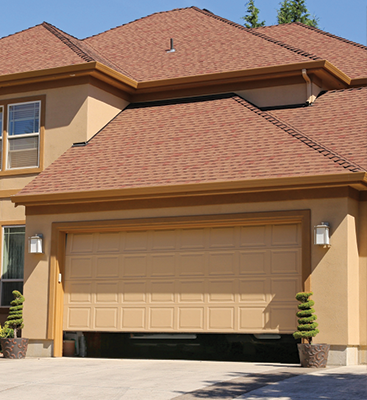 We find that most people getting a new garage door decide to purchase one for this very reason. Taking advantage of that potential four percent return on an investment is a powerful deciding factor in making that decision. 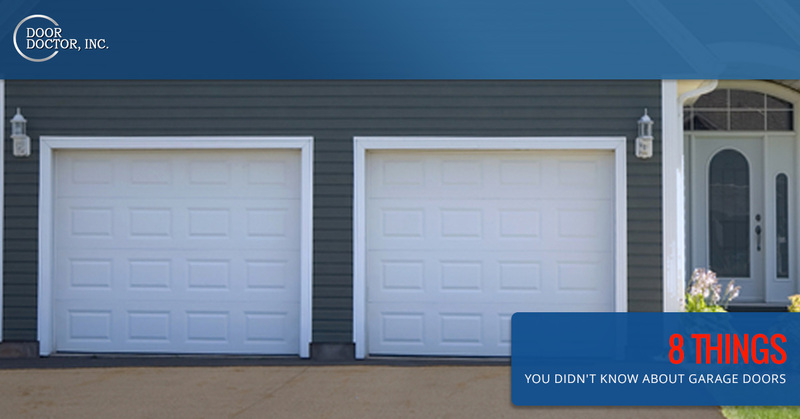 The risk of garage door danger is kind of high for an everyday convenience. 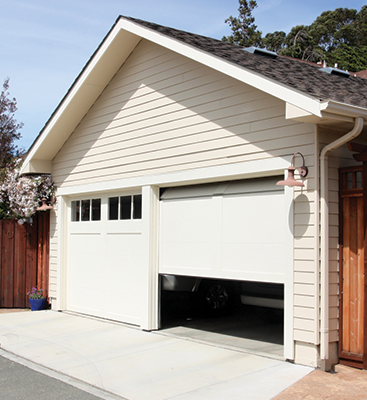 Because of the high tension springs they’re equipped with, the installation and repair of garage doors is actually the most dangerous part of owning one. This is the reason it’s highly recommended to call in professionals like Door Doctor INC because some things you just can’t DIY. Garages are getting steadily bigger alongside the trends of cars. Roughly 23 percent of single-family homes built in 2014 were equipped with a garage large enough for three cars, according to the U.S. Census. This statistic is up from 11 percent in 1992, which marks a rather big jump. Worried about power outages locking you out of your main entrance? Don’t be, with newer garage door opening models, you can often expect a backup battery that will work even when the power goes out. So no need to fear being locked out of your grand entrance. Interested in getting a quote for an garage opener or garage door repair? Contact Door Doctor, we’ve been serving Lee County for over 20 years. We’re excited to find the right service for you!